If you’re looking for a dramatic, yet romantic colour palette for your special day, dusty rose and marsala is the perfect combination. 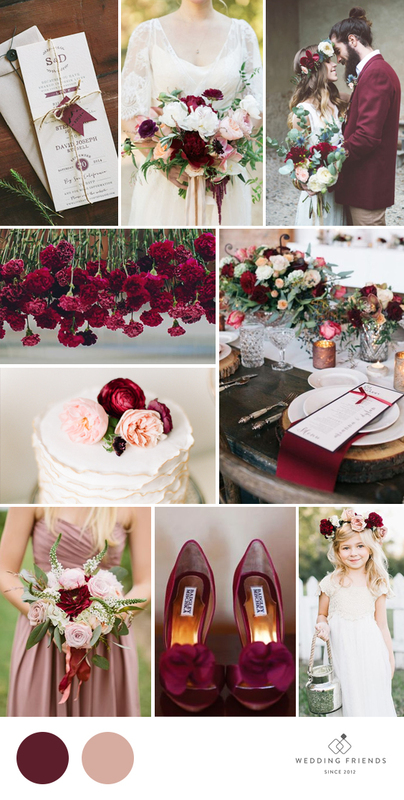 Marsala is one of Pantone’s chosen colours for 2016 and we are loving it! Paired with soft and feminine dusty rose, this combination is destined to become a favourite this wedding season. Get inspired by our moodboard below.